After reading my recent post about my dollar store party supplies, my buddy Nicole from Colie's Kitchen reminded me of all the great dollar store tips and tricks that can be found while browsing Pinterest. So it only seems fitting to make that the topic of today's Friday Favorites! This first Dollar Store Solution is pure genius! 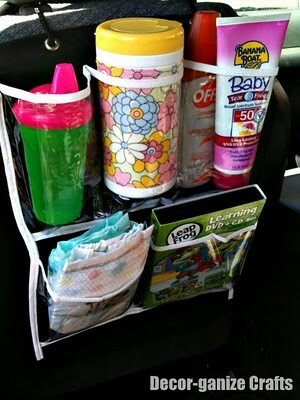 We've been wanting to get a backseat organizer for the truck for a while now. But whenever we are in the automobile aisle at Walmart, I always think of other ways to spend that twenty bucks! Heather from Decor-ganize shows how she turned a 5 pocket shoe organizer into a backseat organizer! For a Buck!!! Deanna from Shady Tree Diary (love the name of her blog! 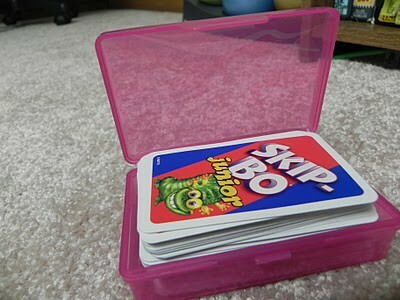 ), shares a clever idea for storing decks of cards and other small toys. Grace is loving flash cards these days. I normally keep them in small tins, but she has a few sets of cards and I'm out of the small tins right now. Plastic soap dishes from the dollar store are a great, frugal solution for storing those different sets of cards! I've had my eye on this dollar store craft for a while. Even before I knew about Pinterest. 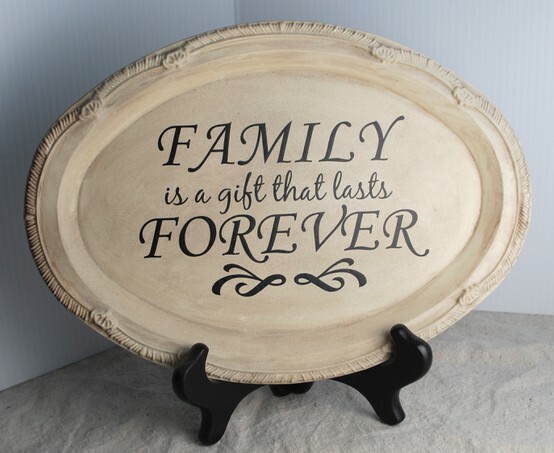 It's hard to believe that this wonderful creation by Kara was once a plain silver serving tray from the dollar store! To see more of my dollar store finds, check out my Dollar Store Stuff board on Pinterest. Aah! I want to do that shoe organizer trick—I've been meaning to sew some organizers for the car, but I'm not sure I'll have time before our next trip. Thanks for the tip!